With the new tooling already announced at Warley, the manufacturer has unveiled the remainder of its new catalogue. January 4 saw Hornby complete its announcements for 2017 with the unveiling of its new catalogue and with it, the reliveries of existing tooling that can be expected over the next 12 months. As detailed last issue, the manufacturer revealed the most significant new models at Warley in late November, these being the new tooling items. To briefly recap, these are an all new Class 87 AC electric and the Hitachi Class 800 ‘Super Express’ bi-mode units. The latter are reported to already be selling very well so pre-ordering from retailers is strongly recommended. Also already announced are further Mk.1 coaches in the form of the First Open (FO) and Brake Second Open (BSO), along with the diagram AA15 GWR ‘Toad’ brake van. Disappointingly, only a handful of high-specification diesel locos feature in the list of reliveries for this year. 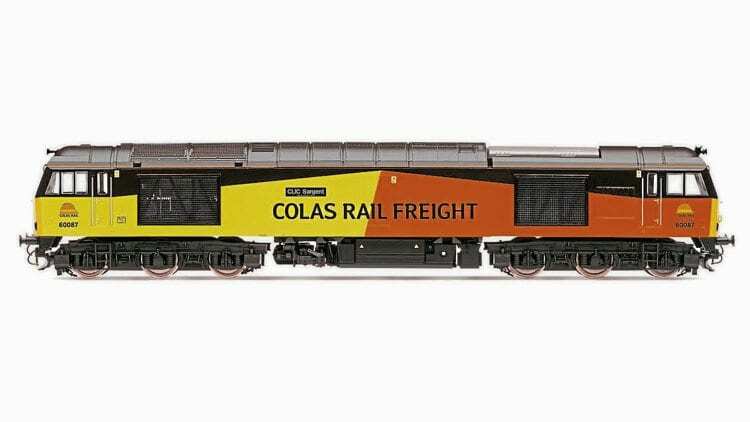 Most notable is the appearance, at long last, of the Class 60 in Colas colours as No. 60087 CLIC Sargent, this being due in quarter two but priced £174.99. Equally welcome is a brace of DB Schenker machinery in the form of Class 67 No. 67013 (Q3, £159.99) and Class 08 No. 08623 (Q2, £164.99), the latter featuring a TTS sound decoder. Bizarrely though, the Class 60 is still denied a release in the standard DB red/grey colours. Read more in February’ issue of Rail Express – out now!